Doug already knows where the Eagles are ranked. With free agency essentially in the rear view mirror and teams around the league having (mostly) shaped their rosters in preparation of the 2018 NFL season (with the draft still to come), let's zoom out and take a look at the absolutely loaded NFC, and determine its hierarchy. Obviously, there are no obituaries yet. We'll start with the bottom feeders. 16) Cardinals: Heading into the 2017 NFL season, the Cardinals were already the oldest team in the league, by a substantial margin. They managed to win eight games, but had the second-worst point differential in the conference, behind only the Giants. After the season, quarterback Carson Palmer retired. This offseason, heading into free agency, the Cardinals had no quarterbacks, as in there were literally no quarterbacks on their roster. So who did they turn to? 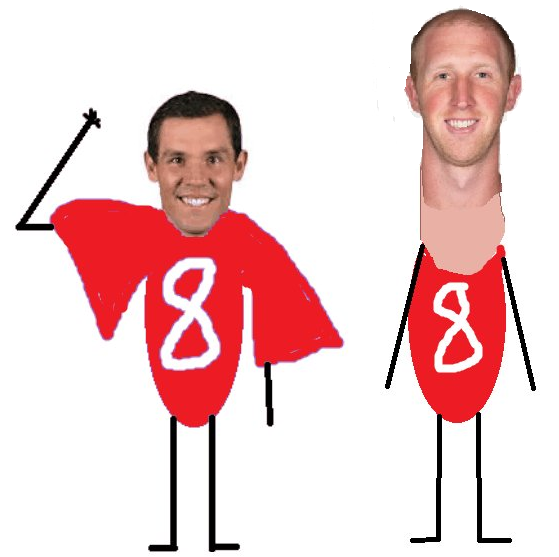 Sam Bradford and Mike Glennon. Well at least they probably didn't pay much for those guys, right? Lol, wrong. They signed Bradford to an absolutely laughable one-year deal worth $20 million. Assuming Bradford pockets the $20 million in full, he will have earned $134,084,404 over his career, despite having only 34 career wins since he entered the league in 2010, and never winning more than 7 games in a season. And the crazy part is that Bradford' last contract was the one he signed with the Eagles, a two-year deal worth $36 million, or $18 million per season. In 2017, Bradford played in just two games because he was sidelined with some mysterious knee injury, which is concerning enough for any player with an otherwise normal injury history, but a red neon flag for a walking ACL tear like Bradford. And the Cardinals somehow thought is was a good idea to pay him MORE MONEY THAN HIS PREVIOUS CONTRACT. And then they signed Glennon to a two-year, $8 million contract, because, um, they needed insurance for their mediocre-even-when-healthy starter? Oh, and to make room on the roster for Bradford and Glennon (and other overpays such as Justin Pugh and Andre Smith), by the way, they released one of their best and most likeable players in Tyrann Mathieu. This front office has no idea what they're doing. 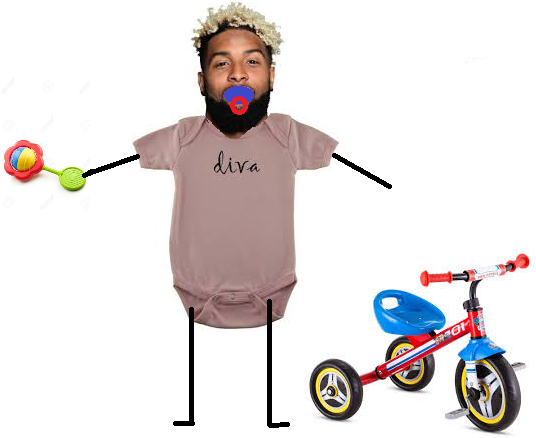 15) Giants: We already covered the Giants' crappy free agency period, but here we'll just take a quick look at the Odell Beckham situation. The Giants say that Beckham "isn't on the trade block," but that they'll listen to offers. Lol. OK. If I could get some kind of good offer for Beckham, I'd trade him too. The problem for the Giants is that teams around the league aren't going to offer anything close to what Beckham is worth, as a player. To begin, Beckham is clearly the most talented of the receivers from the 2014 draft class, and a lot of receivers in that class have gotten paid. Overall, Beckham has better numbers than Mike Evans, despite playing 14 fewer games. Anyway, the reason for showing all of that above is that Beckham is looking to get paid, and his asking price is going to be around $20 million per season, which I would never pay to such an immature baby. If I were the Giants and someone offered me a first round pick, I would do the Perfect Strangers Dance of Joy. By the same token, I would never trade a first round pick for him, and then pay him $20 million per season. The Giants are potentially in a really tough spot there. 14) Bears: Chicago added weapons for Mitch Trubisky in Allen Robinson, Taylor Gabriel, and Trey Burton. Meanwhile, Trubisky himself will be better in 2018, but this isn't going to be a situation like the Eagles a year ago, where they make a huge leap in the quarterback's second year, and that shouldn't be the Bears' focus. They still have a lot of holes, but at least they're going in the right direction. The Bucs are going to be bad for a while in a division where there are three teams with far better quarterbacks. 12) Redskins: You know, the Redskins really aren't that bad. If they played in the AFC, they could contend for the playoffs. I mean, are they any worse than the Buffalo Bills, for example? Unfortunately, I believe the Redskins failed to recognize how insanely loaded the NFC is right now, and their offseason strategy should have been more of a long-term focus, as opposed to spending a boatload of resources on a 34-year old quarterback in Alex Smith. The Redskins will win some games, and may even beat a good team or two along the way, but ultimately, they aren't close to being legitimate contenders in this conference. 11) Lions: Matt Patricia has been an NFL head coach for like 10 seconds and I'm already sick of his pencil in the ear gimmick. Anyway, the Lions have finished either 7-9 or 9-7 in four of the last five years. I like Matthew Stafford more than most, but he doesn't have much to work with. They feel very 7-9'y. 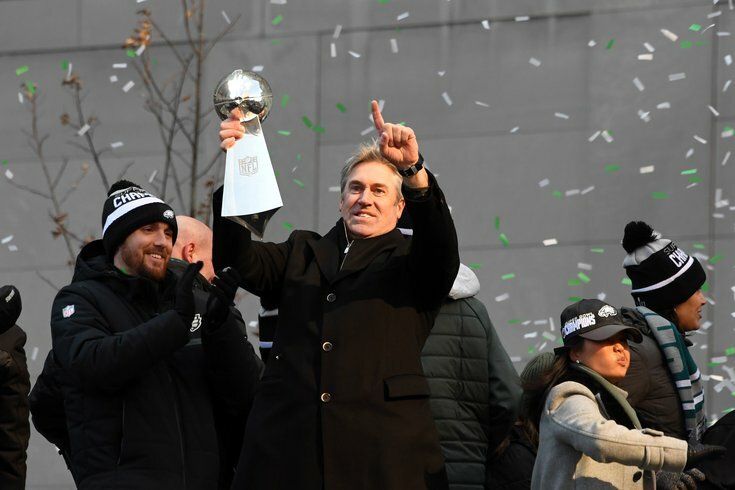 10) Seahawks: Richard Sherman and Michael Bennett are gone, while Kam Chancellor and Cliff Avril may never play again, and Pete Carroll was answering questions about retirement. Russell Wilson is still a great quarterback, but this is team very clearly on the way down after a half-decade of dominance. 9) 49ers: The Niners are going to be the overhyped team of the offseason because of the impressive way Jimmy Garoppolo led them to a five-game winning streak to close the season. I'm not ready to dive in on them yet. I'd like to see them play in games that actually matter, but certainly, this is a franchise that is moving up. 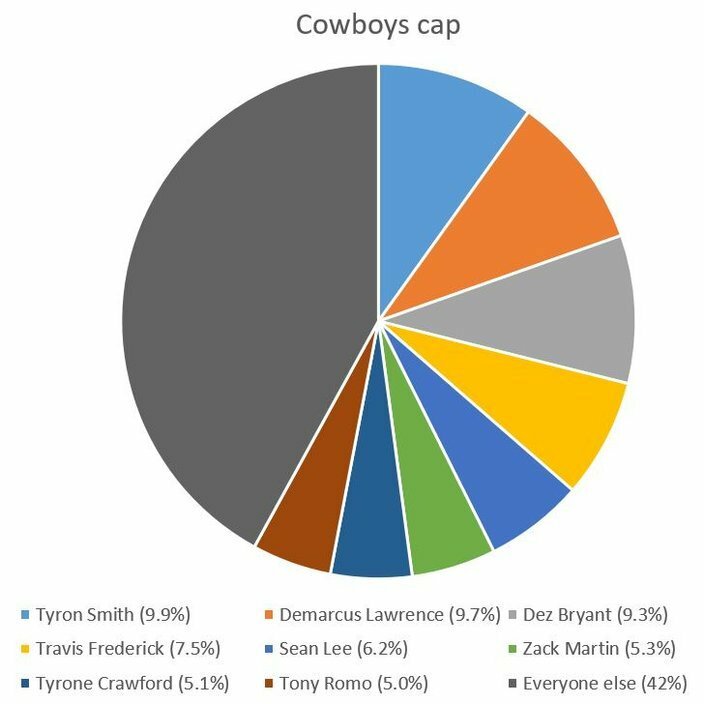 8) Cowboys: Dallas is an extremely top-heavy team that has used a "studs and scrubs" strategy of roster building, as we pointed out a week ago with this graphic. They have their best seasons when all their best players stay improbably healthy, and even then, they've been quick outs in the playoffs. They're a very flawed team, but can be dangerous with Zeke Elliott and their run-blocking offensive line. 7) Panthers: In a game against the Saints last season, the Panthers faced a 4th and 5 from the New Orleans 35 yard line with a 18-point deficit and 7:08 left in the 3rd quarter. That is just unfathomable to me. Later that season, with a seven point lead facing 4th and inches at the Atlanta 29 yard line, with an incredibly effective QB sneaker in Cam Newton, Rivera initially called for the FG team to come in, until Newton lost his mind. We often think of the quarterback being the most important figure in a franchise's success, but the head coach is right there with him. I'm a big Newton guy, and the Panthers have a good roster, but Rivera inspires very little confidence with me. 6) Packers: Aaron Rodgers remains the most talented quarterback in the NFL, in my view, but he can't do it on his own. When he went down, Green Bay went from a sure-fire playoff team to arguably a bottom five team. Rodgers is so good that the Packers are a team you don't want to have to face in January, but they're just not good enough roster-wide, in my view, to make a deep run. 5) Vikings: Kirk Cousins has 26 career wins. The combined winning percentage of the teams he has beaten over his career is 0.406 (168-246). Is Cousins an upgrade over Case Keenum? Yeah, probably. Is he on the same level as the quarterbacks on the teams ranked 1-7 in this hierarchy? Hell no. The Vikings have a very good defense, but it is overrated. They were first in yards allowed, but 23rd in takeaways. When they faced high-powered offenses in the playoffs, they were exposed to some degree. This is a good team, but not at all scary, and they aren't winning 13 games again. On a side note unrelated to the Vikings' success in 2018, who knew how whiny this fan base is? 3) Falcons: The trio of Matt Ryan, Julio Jones, and Devonta Freeman is among the best QB-WR-RB combos in the NFL, if not the best. The Falcons put 540 points on the board in 2016. In 2017, that total fell off sharply, as they only scored 353 points. I expect them to be much better in 2018 than they were in 2017. Defensively, the Falcons impressed me in the playoffs. They held the No. 1 scoring offense in the league (the Rams) to 13 points, and the No. 3 scoring team (the Eagles) to 15 points. I feel like some people are sleeping on the Falcons a bit. I'm not. In my view, this is a team very much in the hunt to compete for a Super Bowl. 2) Rams: The Rams are going to score. They have, in my opinion, the best running back in the NFL, a breakout quarterback, and quality skill position players otherwise. I mean, this was the No. 1 scoring offense in the NFL last year, as noted above. Defensively, they had holes a year ago. With the additions of Ndamukong Suh, Marcus Peters, and Aqib Talib, they have unquestionably improved their talent on that side of the ball. And now they are rumored to be interested in trading for Odell Beckham. Does this team feel a little Dream Team'y? Sure. You can look at it that way, if you want to fool yourself into the idea that this team isn't scary as hell. 1) Eagles: Duh. I mean, they won The Super Bowl without their MVP quarterback, Hall of Fame LT, and young playmaking quarterback of the defense, among others. They lost a few role players in free agency, but uh, I think they'll be fine.